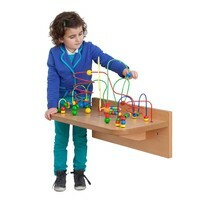 This extremely solid and stable JoyToy bead activity table is characterised by its nice round shapes which prevent children from bumping against edges or corners. On top of this bead activiy table, kids will find many interesting and challenging frames with which they will be amused for many, many hours. The colourful beads draw their attention immediately and provide a great time filler. Children keep on discovering new games and at the same time they strenghten their fine-motoric skills. 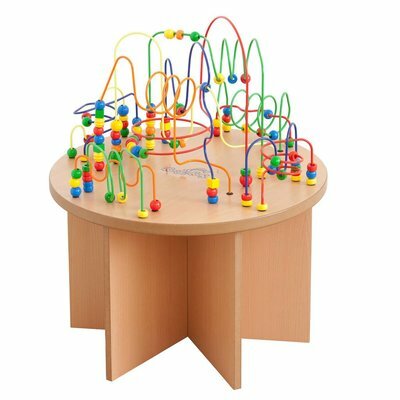 Since all spirals are fixed permanently to the table top, you are 100% sure that your waiting room or playcorner will always look neat and tidy. 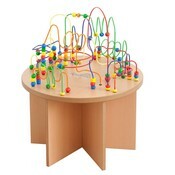 This childs bead activity table is also available as a square model bead maze table. 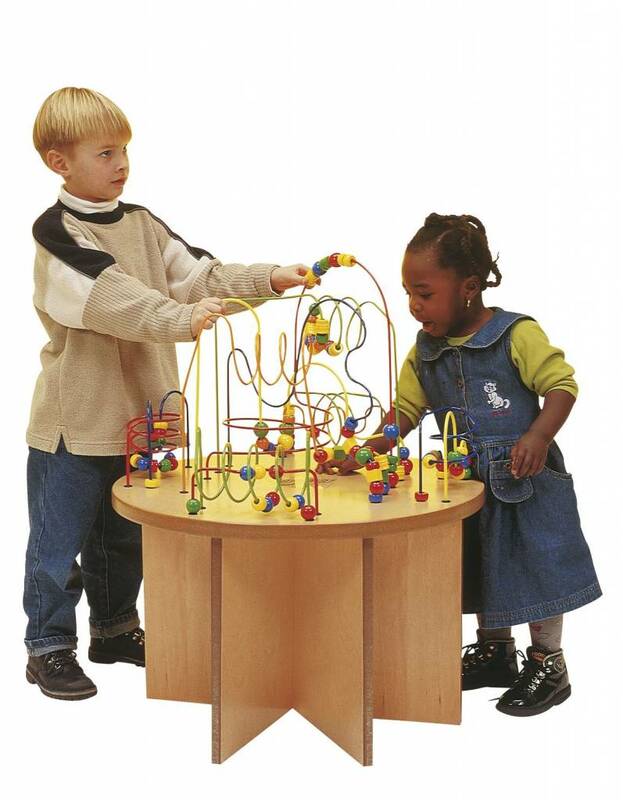 A super bead activity table that can be played from all sides. Ideal for groups of children/toddlers or for individual play. 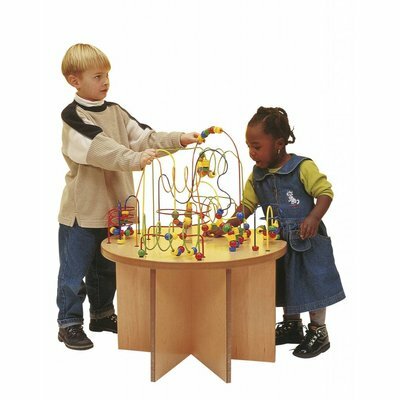 The coloured beads make these tables a great way to aid the development of a childrens motor skills, fantasy and social contacts.